I love Instagram. 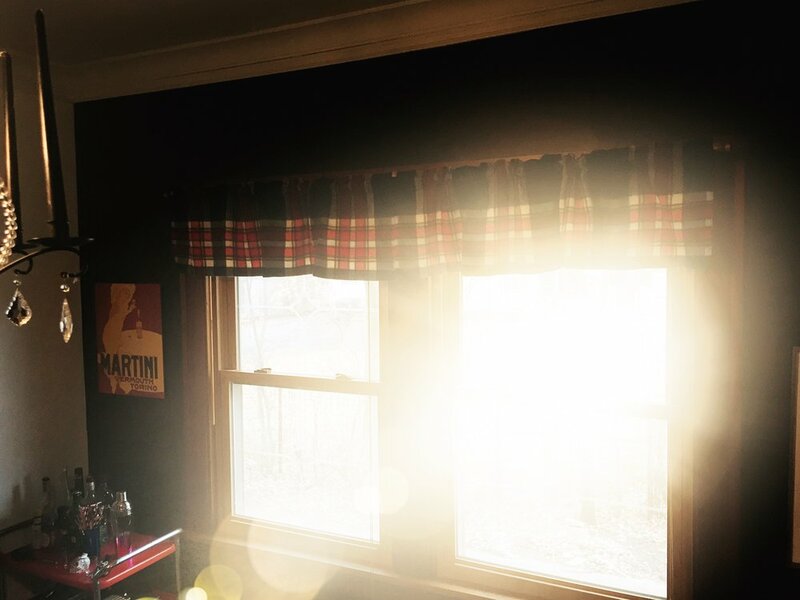 I love scrolling through Instagram and seeing what painters, crafters, interior designers and writers are creating. I follow a lot of other female makers because I believe it is important to support other women making their art. And believe me, there are so many women creating beautiful things. When I see what they are doing, I get inspiration for my painting and writing. Because so many of these women inspire me, I wanted to share some of these women with you. Some of them I’ve spoken about before, and some of them are incredibly well known. And some of them are well known where I live, in Minneapolis, Minnesota. So starting today, I will be sharing a little bit about a woman (or a pair of woman) that inspire me. 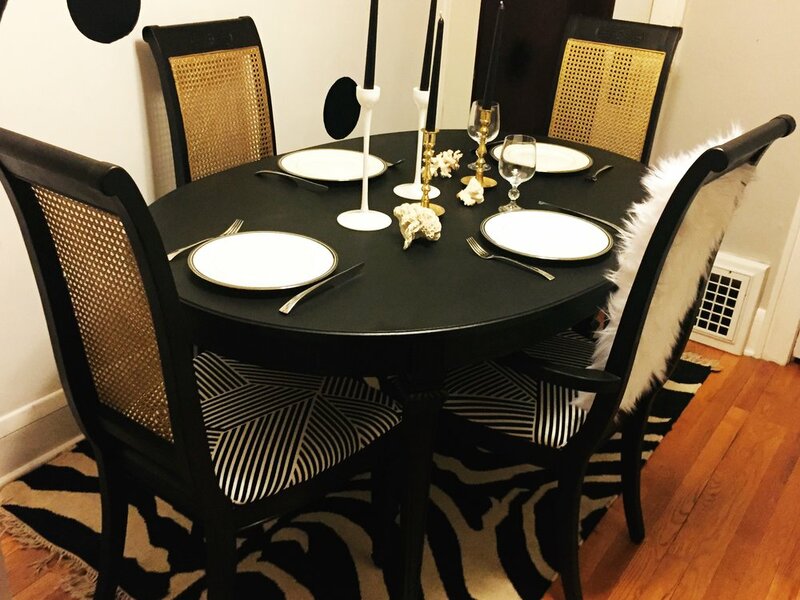 And then I will share some furniture or home décor I created or sourced inspired by these women and what they do. 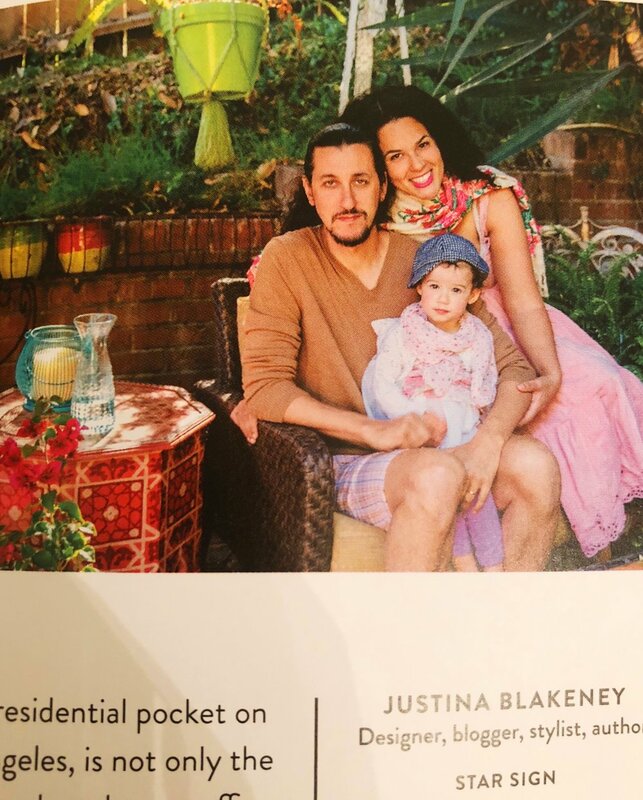 First up on the list is Justina Blakeney. I’ve written about her before in my blog post 5 Bohemian Looks Worth Stealing for Your Home. Blakeney is the creator of the design blog, TheJungalow.com and the queen of all things bohemian. Blakeney draws and paints. She is a pattern-maker, interior designer and a writer. 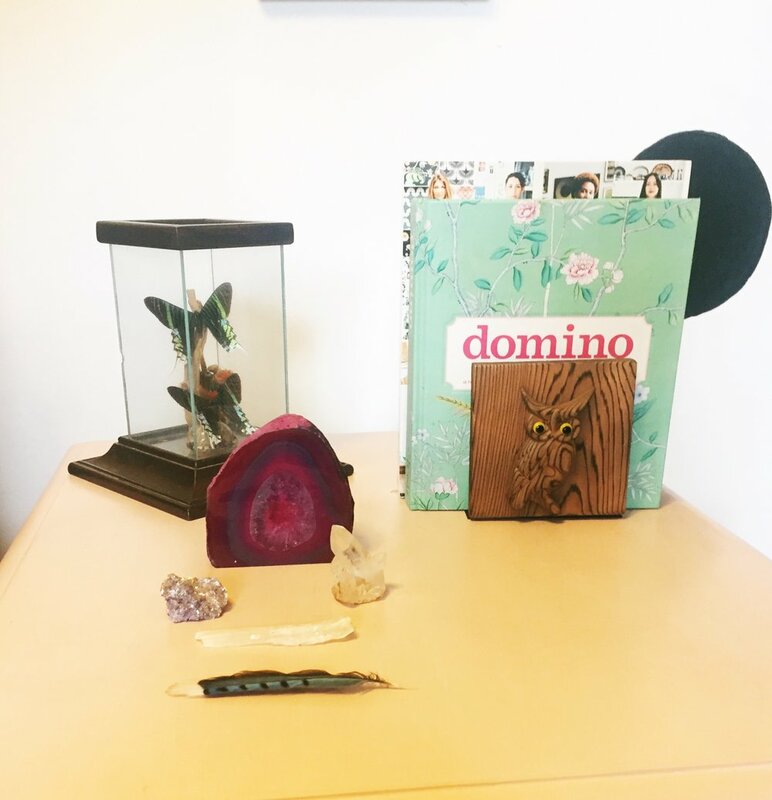 In addition to her blog, she has written two books, The New Bohemians: Cool & Collected Homes and The New Bohemians Handbook: Come Home to Good Vibes. She is also a designer with multiple product lines. You can now shop The Jungalow, and there is furniture, art prints, light fixtures, plates, bedding and planters. You can pretty much buy all things boho home décor there. 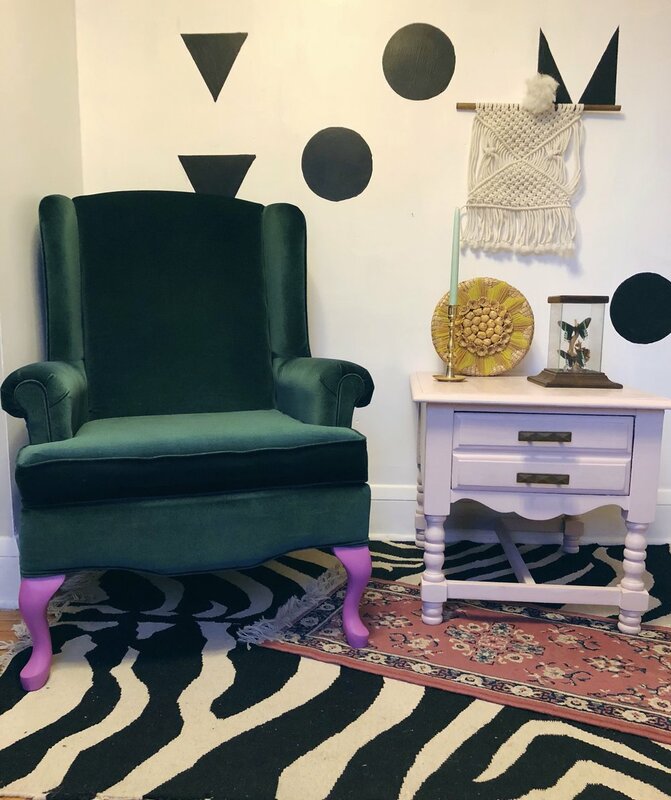 I love her #newbohemian style, which she describes as having “a passion for color, pattern and plants.” But I also really admire how her creative passions spill into so many different areas. And she doesn’t try to limit herself, but explores all of these different pursuits. I received a copy of The New Bohemians Handbook: Come Home to Good Vibes for Christmas, and it is just as chock full of inspiration as her previous book. The book starts out with several maxims, and below are two of my favorites. I too believe in vintage and handmade and that objects made with love bring that love with them. Blakeney is a truly talented women who has created a boho empire. And it all started with her blog, The Jungalow. Here are some #jungalowstyle pieces I have available in the shop. 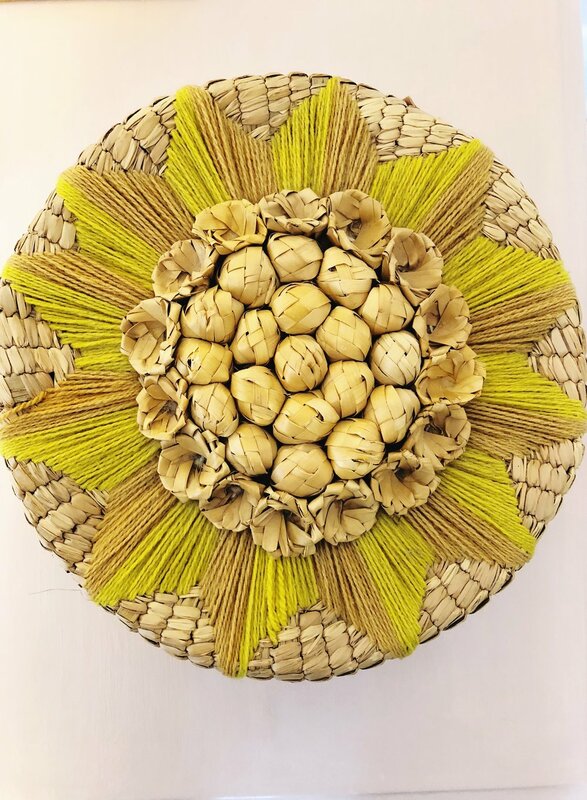 I just added this Starburst Wicker Basket with Lid today, and I am kind of obsessed with it. Be on the lookout for another woman that inspires me in two weeks! Does the sight of a macramé curtain make you swoon? Are you all about patterns, layers and plants galore? Well, your desire for all things bohemian can largely be traced to Justina Blakeney's design blog, TheJungalow.com. Along with being the founder of the go-to source for bohemian design inspiration, Blakeney is also a L.A. based designer and the author of The New Bohemians: Cool & Collected Homes. So just what is Jungalow style? And what does it mean to be a new bohemian? In other words, Jungalow style is not about design rules, but more about letting your imagination loose and exploring design possibilities. Though the Jungalow aesthetic emphasizes freedom, many of these new bohemian style homes showcase recurring design themes. So having just bought The New Bohemians: Cool & Collected Homes, I wanted to share 5 of my favorite bohemian home décor looks from Blakeney’s boho handbook. Mixing patterns is something I’ve started to do more as I get older and become more confident in my style choices. And Blakeney is a master of the pattern mix. She mixes stripes with ikat with polka dots with florals with paisleys and the list keeps on going. If you want to try mixing patterns, select some colors you want to work with in your space. Then find pieces in a variety of patterns, but within the color story you’ve selected. That way even with multiple patterns in your space, the repeating colors will create a cohesive feel. And mixing patterns provides a truly one-of-a-kind look for your home. Mixed Patterns. Photo from The New Bohemians: Cool and Collected Homes. 2. More is more. Or get down with layers. More than using a variety of patterns, Blakeney is all about creating layered spaces. There is no room for Scandinavian minimalism in a Jungalow style home. Have a beautiful collection of necklaces? Hang them from a branch in your bedroom. Love plants? Why not turn your bathroom into a little rainforest? Of course, there is a difference between maximalism and hoarding. Your collections should be organized and attractive. And all your layers should enhance the beauty of your space, not detract from it. 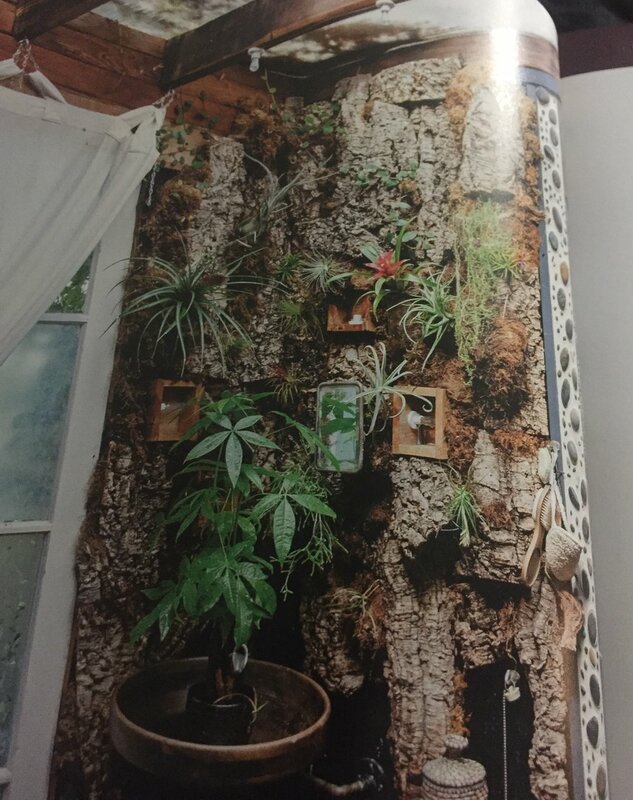 Epic Plant Wall in a Bathroom. Photo from The New Bohemians: Cool and Collected Homes. 3. Don’t be afraid to use pieces with some patina. Beauty, as they say, is in the eye of beholder. And anyone who truly embraces bohemian style is not afraid of decorating with pieces that have some wear and tear. One of my favorite pieces in my home is an old trunk that has bit of rust, some dents and more than a few paint splatters. I bought this trunk because of these imperfections. The paint splatters and dents just add to the character. Not to mention, it takes the pressure off having a pristine coffee table in my house. Forget to use a coaster? No big deal. It just adds more patina to the piece. Or maybe you inherited a chair with peeling leather from your grandfather. So of course you want to hang on to it, because it reminds you of him every time you sit in in. Don’t worry! If you’re going for a Jungalow style look, a chair with peeling leather suddenly looks lived-in, relaxed and distinctly bohemian. 4. Get creative! Repurpose that basket/pillowcase. Not everyone has an arsenal of inherited pieces to add to their home. So rather than spending a bunch of money buying new pieces, embrace the new bohemian idea of repurposing existing pieces. 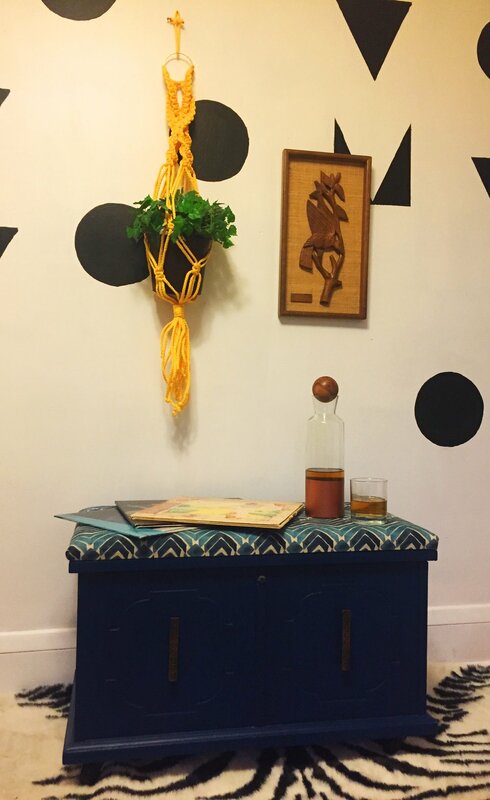 In one of the homes featured in the book, the homeowner took a woven trash can, painted it, turned it over and suddenly, it became an end table. Or like another homeowner does in the book, take a chair with a ripped out seat and replace the seat with pillow covers. And voila, you have chair that is even more beautiful than it was originally. This one should come as no surprise. Macramé is back in a big way, and it pops up all over the Jungalow style blog, as well as in The New Bohemians. 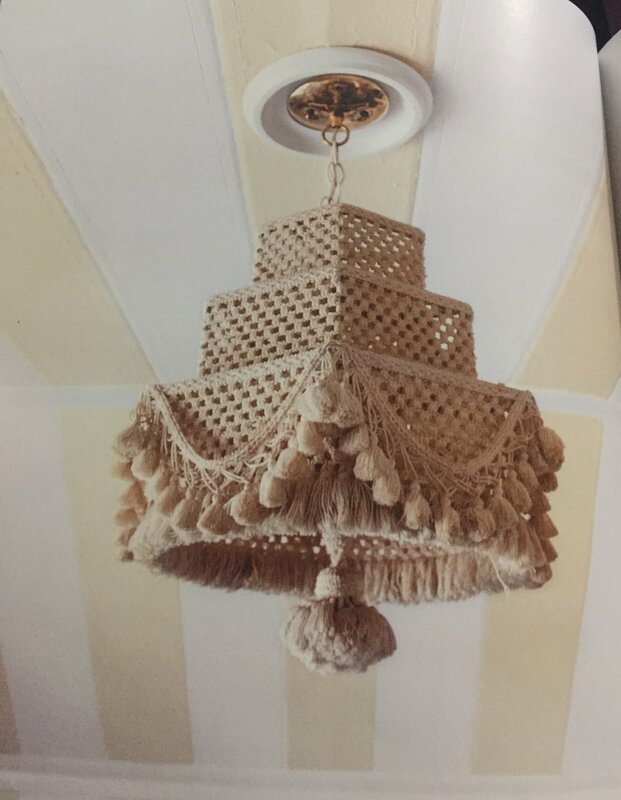 My favorite piece of macramé in the book is the jaw-dropping chandelier pictured below. It has three tiers and tassel fringe. And to pair it with that striped ceiling, it becomes the epitome of new bohemian chic. 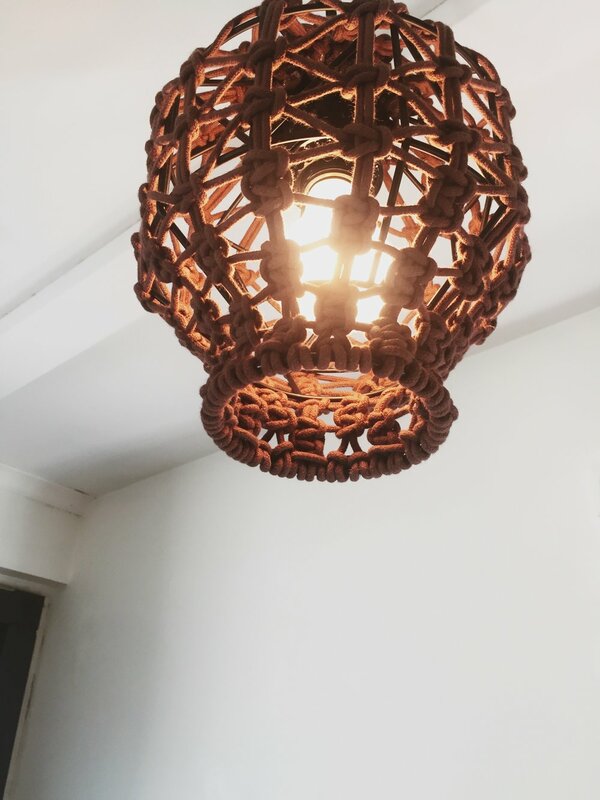 Macrame Chandelier from the home of Faith Blakeney. Photo from The New Bohemians: Cool and Collected Homes. You can see more of her home here. So those are my 5 favorite boho style home décor looks from The New Bohemians: Cool & Collected Homes. Shop some of my favorite #jungalowstyle pieces below. And be on the lookout for more macramé coming soon!